Two weeks ago, I was asked to comment on epinephrine aboard ambulances for Healthline.com – a subject I now realize I took for granted. Like many people, I assumed that all ambulances carried epinephrine and that all responders had the authority to administer it. What I learned was fascinating – and disturbing. 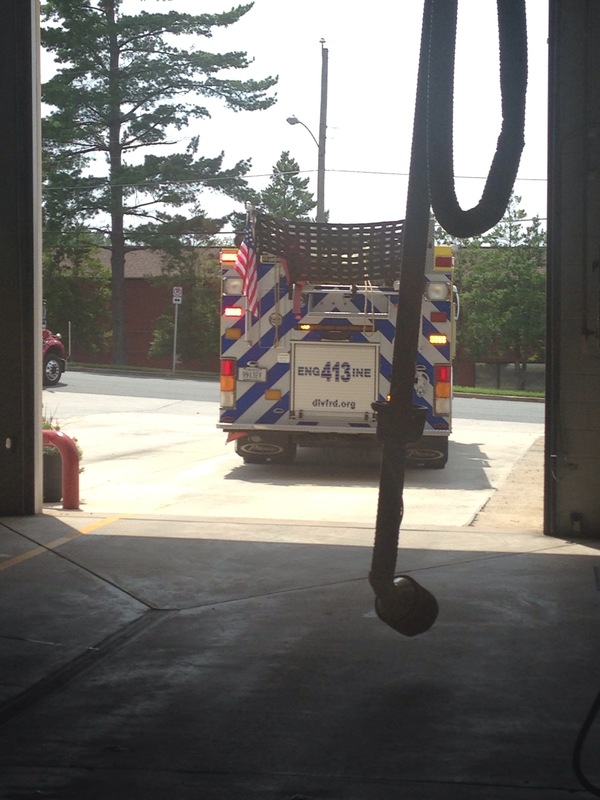 To prepare for my interview with Cathy Cassata, a fellow food allergy parent and writer for Healthline, I decided to visit my local fire department. There, I met with a knowledgeable paramedic. What I thought might be a 15 minute talk about epinephrine use turned into an almost-hour long discussion about everything from EMT training to rescue situations. In Healthline’s article, “Parents Want All Ambulances to Carry EpiPens”, writer Cathy Cassata explains that most states have two types of ambulances: Advanced Life Support (ALS) and Basic Life Support (BLS). Those who staff the ambulance and the equipment it carries determine which type of ambulance it is. There are three levels of Emergency Medical Technician (or EMT) training: Basic EMTs receive between two and six months of training and an intermediate level of training known as Advanced EMT. Paramedics, the third and highest level, receive one to two years of training including anatomy, physiology, and pathology. The authority to perform medical procedures and administer medication is based on two factors: the level of EMT training and local protocols. In our county, Basic EMTs cannot make the determination to use epinephrine, often having to make a call to a physician to gain authority. And, they are not allowed to administer epinephrine on their own. Basic EMTs are allowed to assist with auto-injectors that are already on the scene. Advanced EMTs and paramedics can both administer epinephrine. After generously giving me far more time than I had expected, the alarms went off. The paramedic packed up the ambulance as he continued educating me until the last second and hopped aboard, off to save another life. I encourage you to read Healthline’s article, “Parents Want All Ambulances to Carry EpiPens” by Cathy Cassata to gain a better understanding of the emergency response system overall.